Zombie Jigsaw Puzzle | We Zombie! 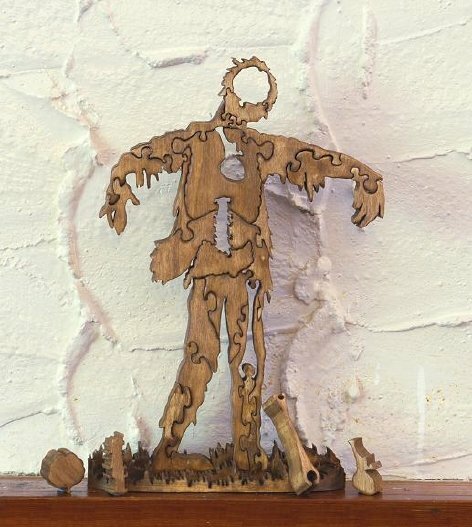 FearNet has a post showing a way cool 3D zombie puzzle that is available for sale at the website SupermarketHQ. The puzzle is hand- made from Aspen wood, a foot tall, and looks amazing. I would love to have one my desk, but I might have to settle for the wooden zombie bookmark. The maker, Emmy, has several other handmade zombie items that are also pretty cool. FearNet has a post about showing a way cool 3D zombie puzzle that you can buy from SupermarketHQ.com. The puzzle is handmade from Aspen wood, a foot tall, and looks amazing. I would love to have one my desk, but I might have to settle for the wooden zombie bookmark. The maker, Emmy, has several other handmade zombie items that are pretty cool.